NEVER MISS A BLOGPOST AGAIN! Many organisations working in the non-profit sector have the reputation to be old fashioned and slow to catch up with technology. Often run by older people, the directors of the organisations stick to what they know, sending letters, distributing leaflets and maybe the one or the other E-mail. On the search for partner organisations we explored different channels to find organisations that were ready to take the next step. The larger organisations are the more active organisations on social media. We were lucky enough to find one of the few smaller organisations that have spotted the potential. 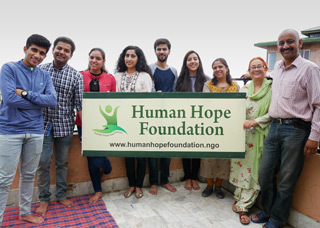 Vikram, the founder and director of the Human Hope Foundation, coordinates the volunteers and takes care of everything behind the scenes, including donor communication. With his camera Vikram takes several pictures and video every day to share on social media. For our work this is the perfect start to be successful on social media. We believe that with some small touches we can create a more professional and appealing look and help Vikram take the next step with his foundation. The organisation has been running for just about three years and is still in its infancy. 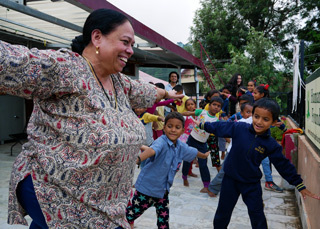 But Vikrams dedication and passion attracts volunteers from all over Shimla who spend several hours a week with the children. The young team that he has formed consists of students from different fields. 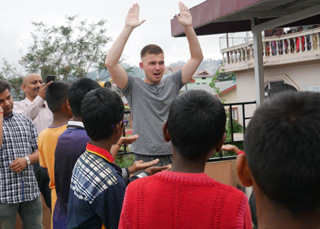 Every volunteer teaches the children with their personal focus in an innovative and fun way. Having so many young people come together for a good cause is something we believe is really unique and valuable. Basically, our work is focussed on the website and the social media channels. With the help of videos and photos, covered in a new branding, we want to drive more attention towards the work the Human Hope Foundation is doing. With this donation we are looking to find more volunteers, create awareness and ultimately also find more funds for the work with the children. Our first video is in the box! To attract more volunteers we have interviewed volunteers and documented their work. Check it out and let us know what you think! Women, Men, Children – no Problem! How can we spread Hope?